The Boeing-built International Docking Adapters, or IDAs, will allow the commercially developed ferry craft to dock at the front and top of the forward Harmony module starting in 2017. Two other ports on the Earth-facing side of the station will be available for use by U.S. cargo ships. Floating in the station’s Quest airlock module, Wilmore and Virts switched their spacesuits to battery power at 7:45 a.m. EST (GMT-5) to officially begin EVA-29, the 185th spacewalk devoted to station assembly and maintenance since construction began in 1998. This was the first of three spacewalks by Wilmore and Virts to install more than 760 feet of cabling and to attach new antennas to prepare the space station for eventual dockings by commercial crew capsules. 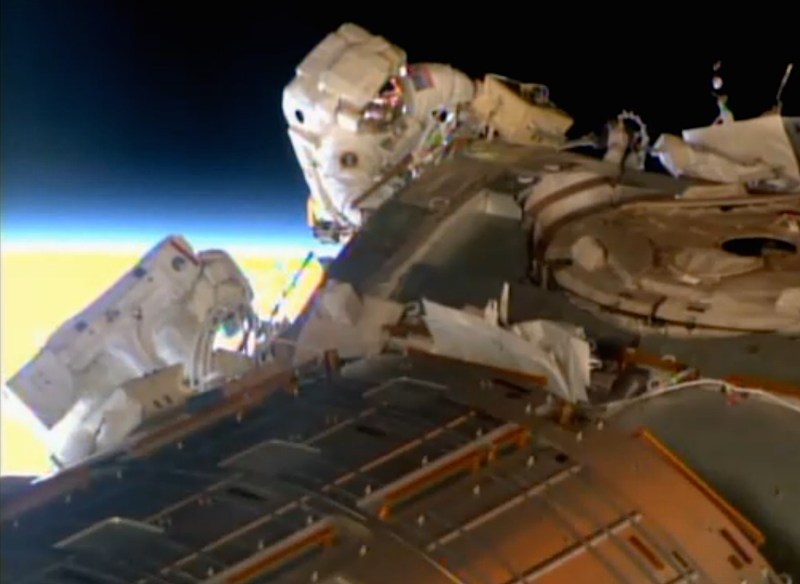 The two additional spacewalks are planned for Wednesday and March 1. During Saturday’s excursion, the spacewalkers spent most of their time working at the front of the station at the forward end of the Harmony module where a docking port extension known as Pressurized Mating Adapter No. 2 is attached. PMA-2 is where visiting space shuttles once docked and where one of the new IDAs will be attached later this year. After removing micrometeoroid shields from the forward end cone of Harmony, Wilmore and Virts unplugged no-longer-needed cables and installed new power and data lines to support IDA-1. All in all, Wilmore and Virts deployed about 340 feet of cable. The astronauts also disconnected four cables from the end cone of the Destiny laboratory module that were once used to deliver power to docked space shuttles. New cables will be plugged in later to support the new docking adapters. With all of their primary objectives completed, Wilmore and Virts returned to the airlock, ending the spacewalk at 2:26 p.m. for a duration of six hours and 41 minutes. 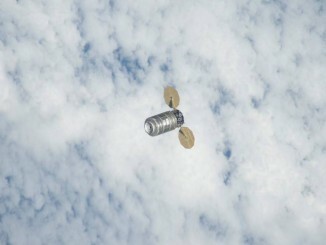 “Really, really nice work today,” astronaut Douglas Wheelock called from mission control in Houston. 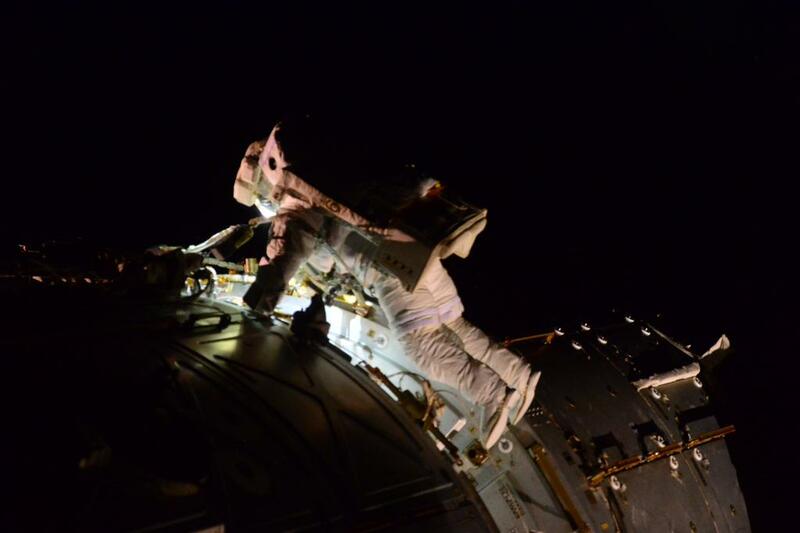 This was the second spacewalk for Wilmore and the first for Virts. With the completion of Saturday’s work, 120 astronauts and cosmonauts representing nine nations have logged 1,159 hours and eight minutes of spacewalk time, or 48.3 days. During their second spacewalk Wednesday, the astronauts will unfurl and hook up two more long cables and Virts will lubricate the grapple fixture on the end of the space station’s robot arm. During the third outing March 1, they will install new antennas and cabling needed for communications between the station and commercial crew capsules bound for, or departing from, the new docking adapters. 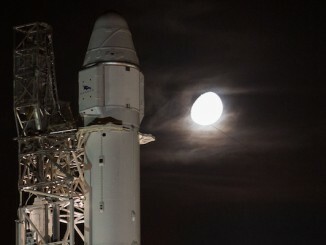 IDA-1 will be launched this summer aboard a SpaceX Dragon cargo ship and robotically attached to PMA-2. IDA-2 will be launched in December. But before it an be attached to the station, the lab crew must robotically move another docking port extension, PMA-3, from an unused port on the Tranquility module to Harmony’s upper hatch. As part of the station’s reconfiguration, a cargo storage module currently attached to the Earth-facing port of the central Unity module, will be moved to a port on the forward side of Tranquility, freeing up the Unity port for use by visiting cargo ships. A second cargo port remains available on the Earth-facing side of Harmony. All told, seven U.S. spacewalks will be needed to complete the station reconfiguration, requiring nearly 650 hours of crew time. Another 230 hours or so will be required for internal wiring changes and robot arm operations. Saturday’s spacewalk was originally planned for Friday, but mission managers delayed it one day in the wake of extensive troubleshooting to verify the health of critical spacesuit components known as fan/pump/separators. The modules in question use a common motor and drive shaft to power three different components: a fan to circulate oxygen, a pump to circulate cooling water and a system to remove, or separate, condensation from the air supply and return it to the cooling water loop. Failure of a fan/pump/separator during a spacewalk would stop the flow of oxygen to the astronaut, but an emergency backup system would give the crew member time to return to the station’s airlock. 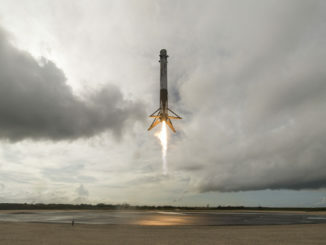 During testing in orbit, two fan/pump/separators failed to spin up and both were shipped back to Earth aboard a SpaceX cargo ship earlier this month for detailed analysis. An inspection revealed corrosion around drive shaft bearings. Engineers concluded the corrosion likely was the result of additional testing implemented after water backed up into the helmet of spacewalker Luca Parmitano in 2013. Based on telemetry, a small amount of bearing corrosion is believed to be present in the fan/pump/separator in Virts’ spacesuit. But analysis indicated it was well below the threshold that could cause the unit to fail during use. As a result, mission managers cleared Virts and Wilmore to press ahead with the first of their three planned spacewalks. Both suits powered up normally Saturday, with no signs of trouble with either fan/pump/separator.